AZA facilities collaborate along with a variety of NGO’s, government agencies, and universities around the world to assist with amphibian conservation. The ATAG assists in facilitation of some of these programs, along with other conservation groups. In 2014, 85 AZA-accredited institutions spent more than $85 million on a variety of amphibian conservation programs. This included new programs, expanding and adapting current programs, on both captive and field projects. Although the focus for our scope is the new world, institutions are involved with projects from around the world. Here are just a few of the current and ongoing amphibian programs. For more information, click here. 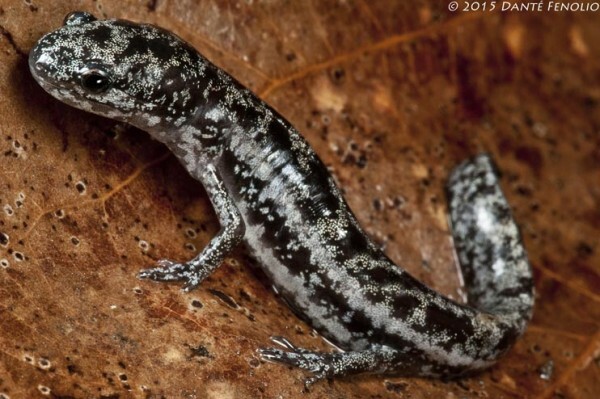 The Department of Conservation and Research at San Antonio Zoo has partnered with Virginia Tech, Eglin Air Force Base, and the United States Fish and Wildlife Service to develop a captive assurance colony of one of North America’s most critically endangered salamanders, the Reticulated Flatwoods Salamander (Ambystoma bishopi). A small captive colony has been implemented at the DCRSAZ, endemic to the southeastern united states in a mere few isolated localities. Husbandry protocols are being documented to share with officials and project partners and efforts are in place to establish captive breeding strategies to potentially supplement declining wild populations. 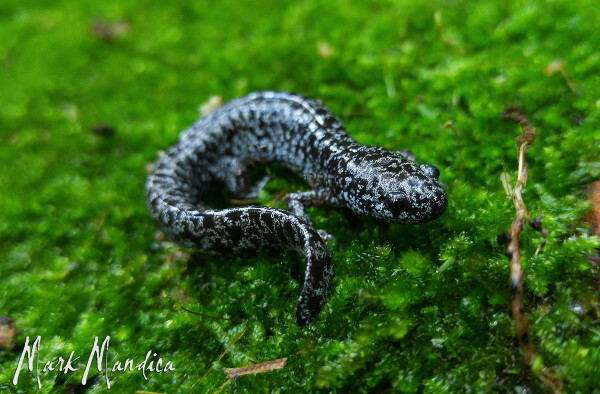 The Frosted Flatwoods Salamander (Ambystoma cingulatum) is also receiving similar attention by Atlanta Botanical Gardens and their collaborators, Florida Fish and Wildlife Conservation Commission, United States Fish and Wildlife Service, United States Geological Survey, and the Orianne Society. In addition to building a captive assurance colony, they are also conducting surveys for this species and hope to begin a head-starting program in the near future. The Chiricahua leopard frog (Lithobates chiricahuensis) is listed as threatened by the USFWS and is found in isolated areas within Arizona, New Mexico and Mexico. 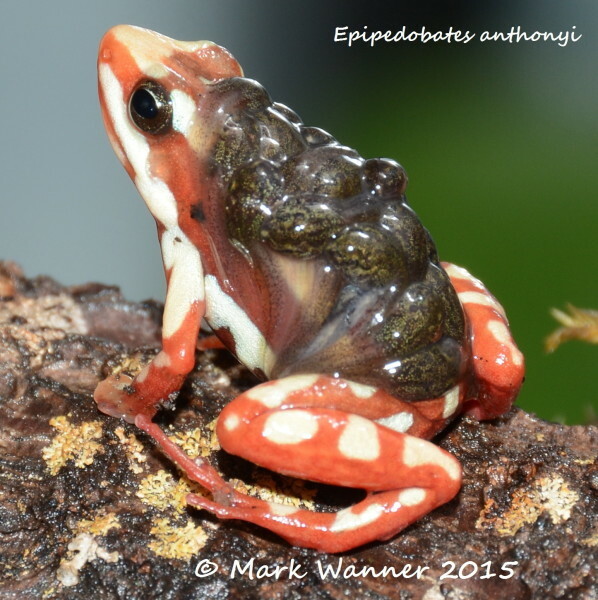 Primary reasons for decline are competition from introduced species, habitat loss and fragmentation and disease, particularly infection caused by the chytrid fungus, Batrachochytrium dendrobatidis. Part of the recovery efforts for this species includes the creation of refugia populations of CLFs to serve as back-ups when there are die-offs of populations in the wild. Eggs, tadpoles and frogs are collected in the wild and brought into captivity for rearing and disease testing/treatment if needed. The Fort Worth Zoo is working with federal, state and private partners by breeding CLFs from several populations collected in New Mexico and the Phoenix Zoo works with CLFs primarily in Arizona. Both institutions are augmenting dwindling populations in the wild through reintroduction efforts. 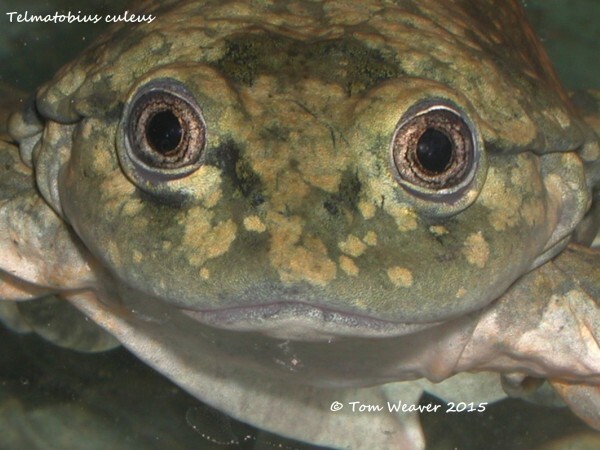 (Telmatobius culeus) The Lake Titicaca frog is the world’s largest aquatic frog. This species is an endemic to its namesake Lake Titicaca. Against the backdrop of snow‑cappedmountains, Lake Titicaca straddles 2,000 square miles of Peruvian and Bolivian landscape at 12,500 feet above sea level. Life at this altitude is adapted for extremes: high levels of ultraviolet radiation, freezing temperatures and oxygen‑depleted air. However, there is concern for their future, because of the demand for human consumption. 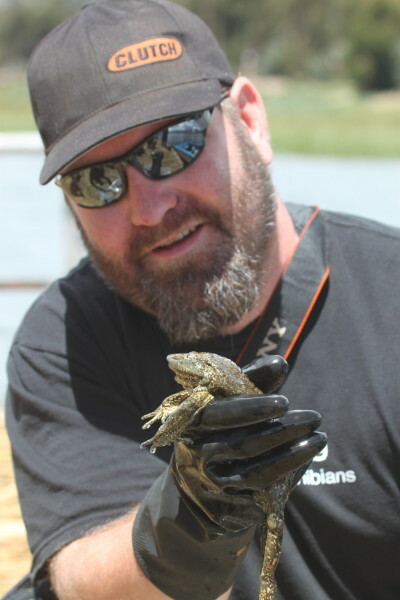 Denver Zoo, along with international and local partners, is involved in ongoing research and outreach focused on the Lake Titicaca Frog (Telmatobius culeus). A Telmatobius Captive Breeding Program and Laboratory was established at the Universidad Peruana Cayetano Heredia in Lima, Peru along with a breeding population at the Huachipa Zoo in Lima. These laboratories will help biologists learn more about the frogs’ husbandry requirements and potentially build an assurance population for this critically endangered frog. 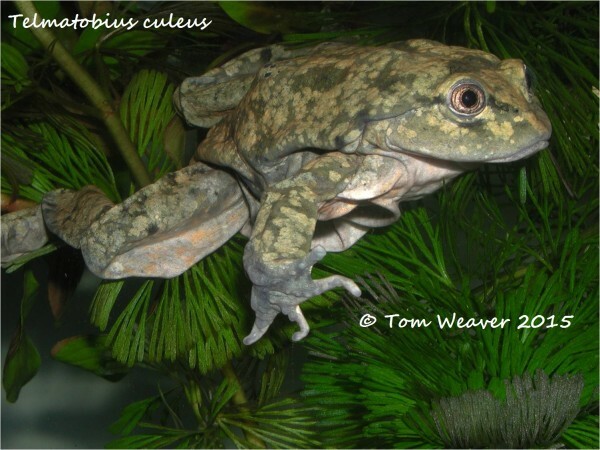 Because of the early successes of the program, it recently expanded its efforts to help save the critically endangered Junin Frog (Telmatobius macrostomus). Since 2006, the St. Louis Zoo Wildcare Institute has been assisting Dr Luis Coloma, Director of Centro Jambatu, with his amphibian conservation program. 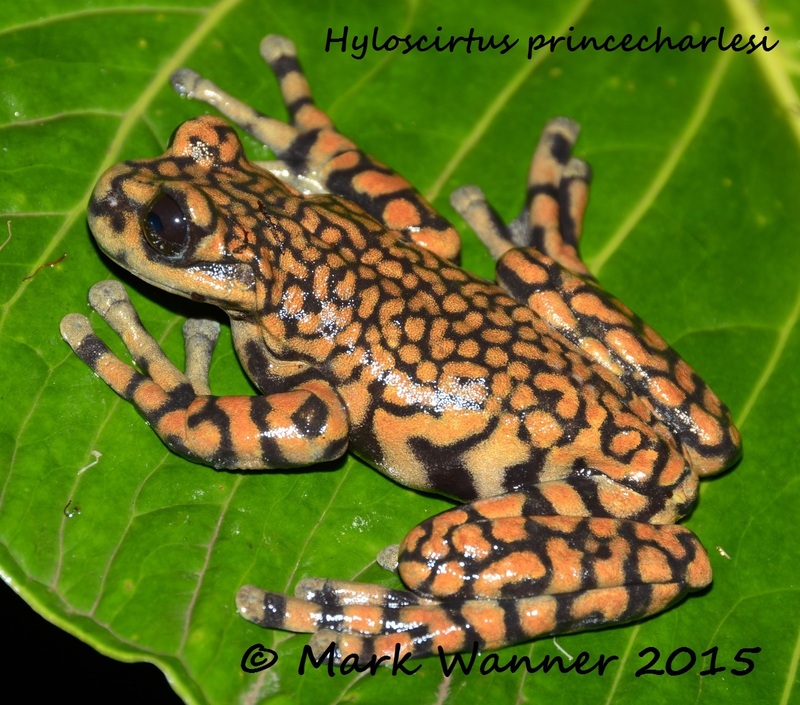 This is important work, as Ecuador ranks third in the world in amphibian diversity. Almost nine percent of all amphibian species in the entire world are found there and almost half of those are endemic species. The goal of this collaboration is to save several species of endemic amphibians at the recently created facility, Centro Jambatu. 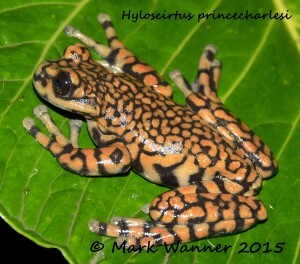 Currently, there are 24 species of rare amphibians at the facility, more than half are critically endangered. The facility has been extremely successful, as 11 species have successfully reproduced.